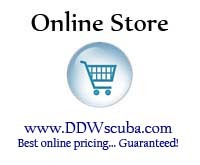 Call Discovery Dive World to book your next dive charter: (850) 678-5001. 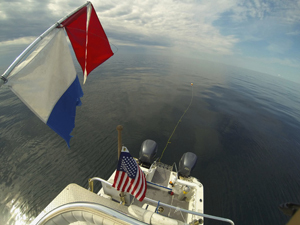 Captain Dan runs a 28’ Pro Sport ProKat power catamaran powered by twin Yamaha 225 engines and customized for scuba diving., spearfishing, recreational diving, and fishing opportunities. The boat carries up to six (6) divers. From entry-level scuba diving trips to advanced trips for spearfishing or deepwater underwater photography, Lionfish hunts, surface charters to Crab Island or private charters where the world is your oyster!